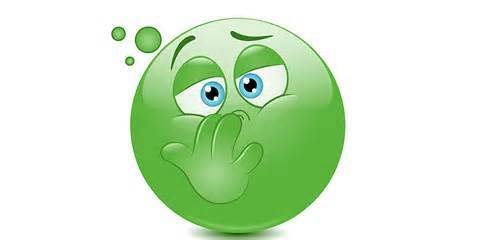 Last weekend Spouse and I spent the majority of the time sharing something we really dislike sharing: a stomach bug. It started in the wee hours of Thursday morning when I woke to my mate racing down the (thank goodness) short hall to our bathroom and returning than 30 minutes completely drained, literally. I prayed it was just some bad Pad Thai he ate the night before and that he would feel better when it was closer to dawn. No such luck. While I headed into work, Spouse spent the whole day sleeping, sweating and umm… err… well, draining. By the next morning he felt good enough to shower but that was about as much as he could motivate himself to do. As he crawled back into bed I moved along and got ready for my Friday, hoping that constantly cleaning the bathroom, changing the towels and moving my toothbrush far away from his would help me avoid whatever this was. Sometime on Friday afternoon I started feeling wonky. You know how, when you’re just on the verge of getting ill, your head doesn’t quite match with your movements? That’s wonky. I left work a couple of hours early and started to regret it when I got home because within a half hour I was feeling pretty normal (for me). And then the night came, and with it what I can only call Montezuma’s Revenge. Though my most severe bout with it lasted just over half as long as Spouse’s did, I felt weak until sometime Sunday evening. The killer about being ill in September in Maine is that it is September in Maine. This is absolutely my favorite time of year. The air turns a little more crisp and clean, you get to have blankets on at night, fall festivals are in full swing, and it’s the perfect time to enjoy being outside during the day. Except you can’t go outside with Montezuma’s Revenge. You can stand longingly just inside the door and breathe in the magnificent fall scents, and you might even venture outside to collect the mail or the newspaper. But that’s as far as you’re going, buddy, unless you have a port-o-potty in your yard. That is how much warning this bugger – I mean bug – gives you before you need the facilities. My point is, the Best Season Ever in Maine is also the shortest, and being stuck inside was torture. Being taken down by this dang virus meant that we missed a few things last weekend. There was a great local beach event that required athleticism and prowess (we were going to watch) and a special potluck breakfast as part of a celebration at our church (we were going to eat). I was going to get my hair cut by some fabulous stylist I have yet to find, and a substantial part of the weekend was planned for trying at least half of the 15 zucchini recipes required to use up our harvest. Instead we barely ate (fine, that didn’t exactly hurt us), watched endless NCIS reruns (it was a McGee marathon) and dealt with headaches from lack of caffeine (two days of not being able stand the scent of coffee). Thankfully, by Monday morning we were both feeling good enough to go to work. Wait - did I say I was thankful to go to work? Well, at least it meant I got to leave the house.